Greening history teaching means including the rest of Nature and the environment in the study of history. History has, historically, focused on human relationships, especially conflicts. Traditional history teaching portrays the history of the Earth in terms of environmentally devastating wars and the conquest of Nature ... calling this progress. The Earth existed for billions of years before "life" appeared, and for many more millions of years before our human ancestors evolved. But our teaching of history seems always to start with early civilizations — as though nothing of import or interest occurred on this planet before the invention of cities. Why is that? And how can we change it? Through greening history teaching. The goal of environmental history is to deepen our understanding of how humans have been affected by their natural environment through time, and conversely ... how they have affected that environment and with what results. 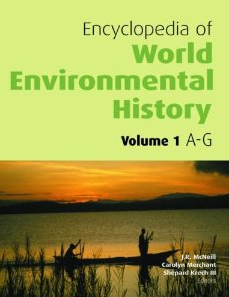 What is environmental history? How do we "green" the teaching of history? Eminent history professor, J. Donald Hughes, explains that it is "a kind of history that seeks understanding of human beings as they have lived, worked and thought in relationship to the rest of Nature through the changes brought by time." Hughes, among other scholars, is concerned about the far-reaching alterations of land, sea and air caused by our species, noting that "the changes humans have made in the environment have in turn affected our societies and our histories." Social scientists ... have traditionally portrayed the history of the Earth in terms of the rise and fall of great civilizations, wars, and specific human achievements. They essentially ignored environmental contexts that often triggered and mediated these events. Based on the last decade of research, we are now beginning to understand the complex ways in which humans have affected and have been affected by environmental change. With our new powers we banished some historical constraints on health and population, food production, energy use, and consumption generally. Few who know anything about life with these constraints regret their passing. But in banishing them we invited other constraints in the form of the planet's capacity to absorb wastes, by-products, and impacts of our actions. What is our common history as a species? 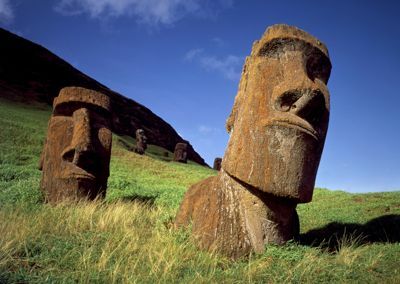 Who were our ancestors? How did they regard us? What causes massive human migrations? How did large-scale agriculture develop? Why did cities begin? How did civilizations come about? Which cultures have proven sustainable, and why? Which have disappeared, and why? What have been the benefits and the drawbacks of the Industrial Revolution? Why are we in the Sixth Mass Extinction? 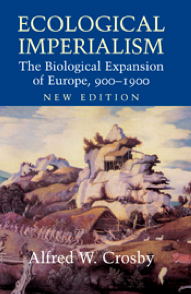 In what ways can ecology trump imperial power, and how have mosquitoes shaped human destiny (John McNeill, 2000)? What were the "biological allies" that helped Europeans invade, conquer, settle and control large swaths of non-European territory (Alfred Crosby)? How does the proverb "When elephants fight, the grass gets trampled" apply to Africa's history? How does Africa's history affect us? What was life like before we were deliberately turned from citizens into consumers following World War II? 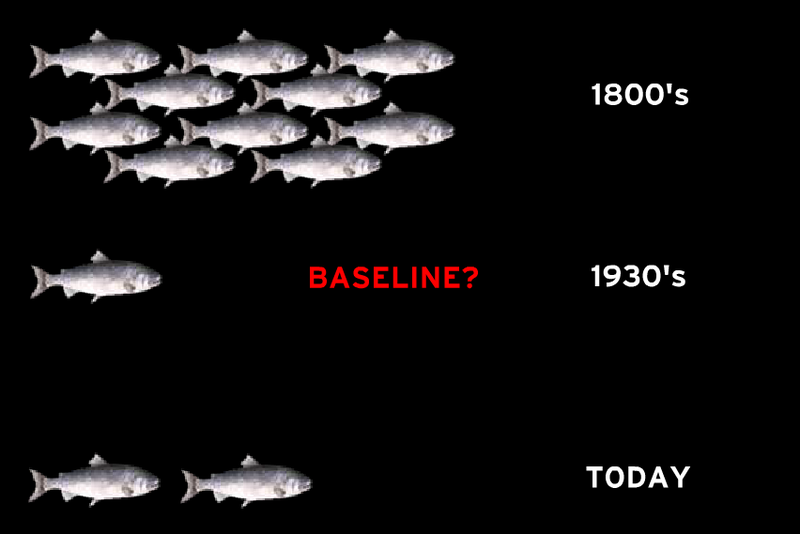 How has our relationship with the rest of Nature changed over the course of our species' history? of the things you have seen. hours before you could see them. Academic achievement is important, but the sole function of a school shouldn't be to turn out good test-takers. Schools should also be developing the skills of civic participation, and students should be exploring their communities and helping to make them better, healthier places to live. If it's only academics, you diminish the virtue and potential that school can achieve. learn about food security in their region, and how they can contribute to it; study the concept of food "sovereignty"
Empathy is the keystone to civilization…. To empathize is to civilize. It's the invisible hand of civilization. Our historians have been looking up the wrong tree, for a long time. Because our historians chronicle pathology — all the bad events, the genocides, the blowbacks, the exploitation, the wars, the conquests, the redress of grievances, the power struggles. Why? Because those are unique, they're novel, they're extraordinary. They're not what we see every day, so they become newsworthy. But then when you chronicle all of history this way, as a pathology, we have a pretty grim picture of the human race. It's embedded in our mind. It depresses our psyche. If that's who we were over history, we would never have made it to today. We would have perished a long time ago. If we are to understand where we are and where we are headed, it helps to know where we have come from. It's important to view history not as dead and gone, but as something we participate in every day and continue to shape. The main thing history can teach us is that human actions have consequences and that certain choices, once made, cannot be undone. They foreclose the possibility of making other choices and thus they determine future events. History provides a society with its backdrop — its mythology, world views, and cultural assumptions (which are blared at us but invisible to us) — but EuroAmerican history, and the teaching of EuroAmerican history, tend to omit Nature and the environment, again disconnecting humans from the natural world. What is real to students is what is given narrative on blackboards and computer screens, in textbooks, lessons and tests. Students learn by inference that Nature is irrelevant — it is given no story because it has no place in the history curriculum. History is often still taught as a litany of who's, what's, where's, and especially when's: dates of wars and battles and their winners and losers. Little time is given to opening students' eyes to the how's and why's of humankind's history, and even less time is given to the history of human impacts on their ecosystems and interactions with the Earth. Greening history teaching can be transformative if we become aware of the hidden curriculum: traditional history teaching shows students that war is acceptable and human disconnection from Nature is normal. There is nothing about sustainability in history as it is taught, which teaches that the way we've done things is the way to do things. It is vital to base environmental history on ethics, moving from an emphasis on war and empire building to an exploration of peace and community building. J. Donald Hughes reminds teachers to place humans within the community of life, not to look at humans and the environment as separate entities. Finally, because "history" usually tells the exploits of wealthy EuroAmerican men (in our culture, at least), it is also important to include the teaching of "ourstory," which includes the stories of families and communities and their connections with the Earth (and the earth) and the rest of Nature.